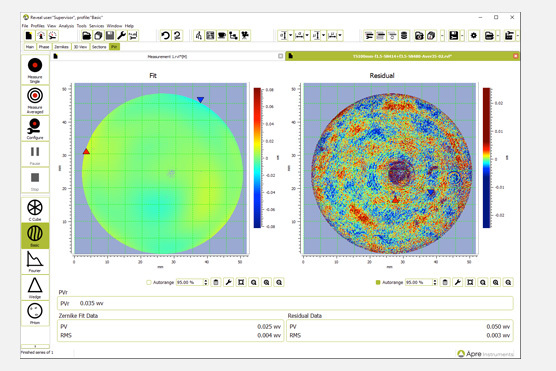 Fizeau interferometer performance is defined by how well it meets your needs, not esoteric parameters. 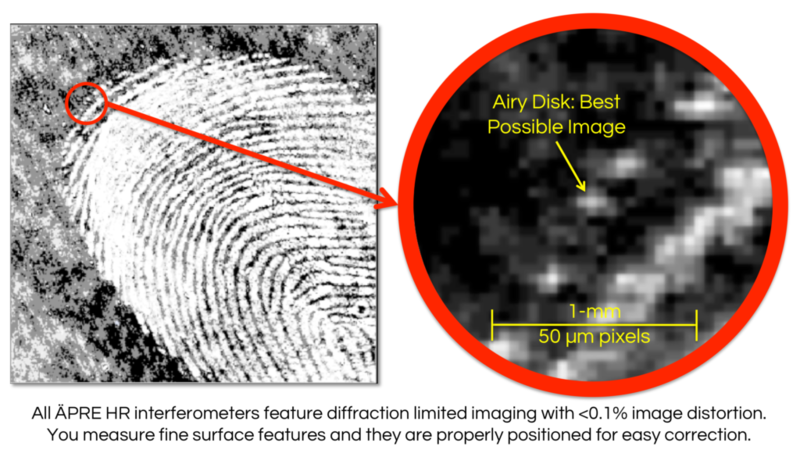 Image resolution indicates how small of a feature is measured. Today image resolution is important as mid-spatial frequencies, produced by modern CNC polishers, must be seen, measured and controlled. 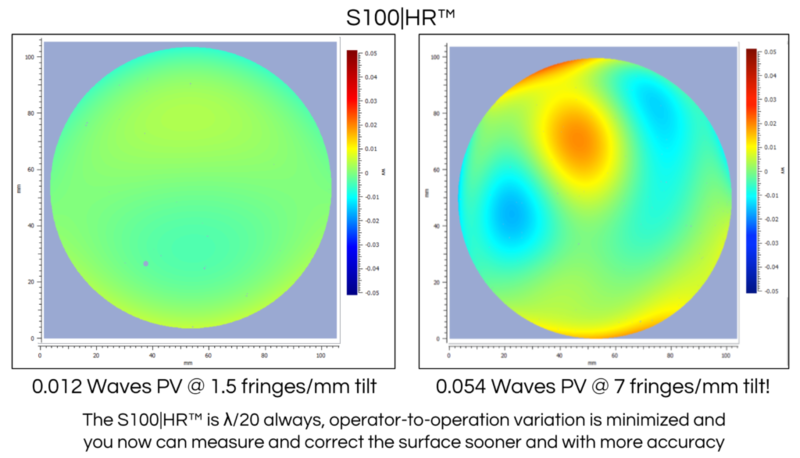 The S-Series HR and SR interferometers have diffraction limited imaging; going beyond simple camera pixels to total system performance. The S-Series: The NEW definition of performance and value. Fringe resolution indicates how far a part can deviate from perfect and still be measurable. 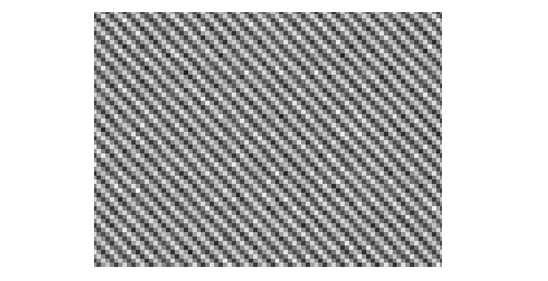 It is related to image resolution as a large optical system field stop supports high resolution imaging and large wavefront slopes that support high fringe resolution. Start finish polishing or system alignment sooner: the S-Series maximizes fringe resolution. Retrace Error occurs when fringes are viewed in the cavity. Such as when your part is not perfect or an operator leaves tilt fringes in the measured cavity, or when carrier fringe data acquisition is used. The S-Series has nearly un-measureable retrace errors for improved accuracy user to user, day-to day. Image distortion indicates if the measured feature is in the correct spot. A distorted image drives the CNC polisher to the wrong spot. All S-Series interferometers have <0.1% distortion. The S-Series faithfully maps the surface without distortion. Field flatness indicates the image can be focused from center to edge simultaneously. With a flat field the highest image resolution is maintained across your part. The S-Series sees the same resolution across the entire part. The best optics are nothing without software to match. Vibration tolerant acquisition, complete analysis of key parameters to ISO standards, and an often neglected requirement – flexible reporting specific to your needs and not resorting to screen grabs. 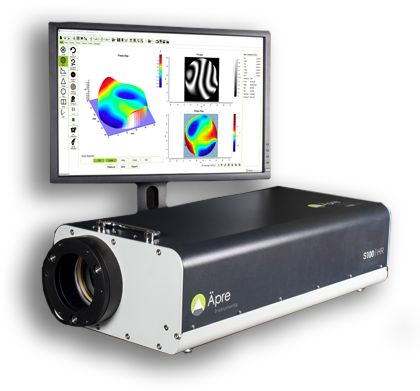 The S-Series is based on ÄPRE’s REVEAL™ software providing measurement to report in <10 seconds. "I have been extremely impressed by Äpre... and look forward to continuing to work with Äpre in the future."